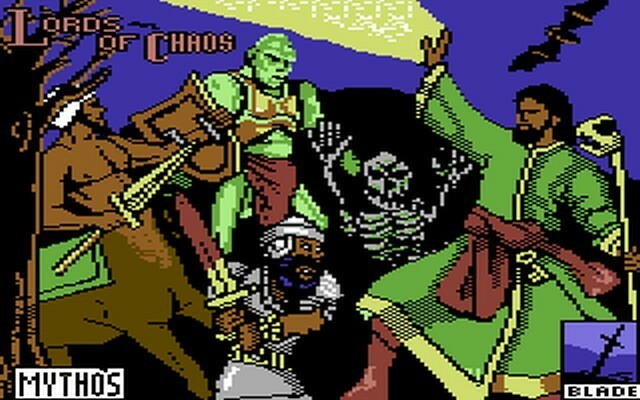 When you think of the Commodore 64, and the companies that produced games, you can often list a handful of software houses without even having to engage the brain. Very few will include Blade Software within that list. 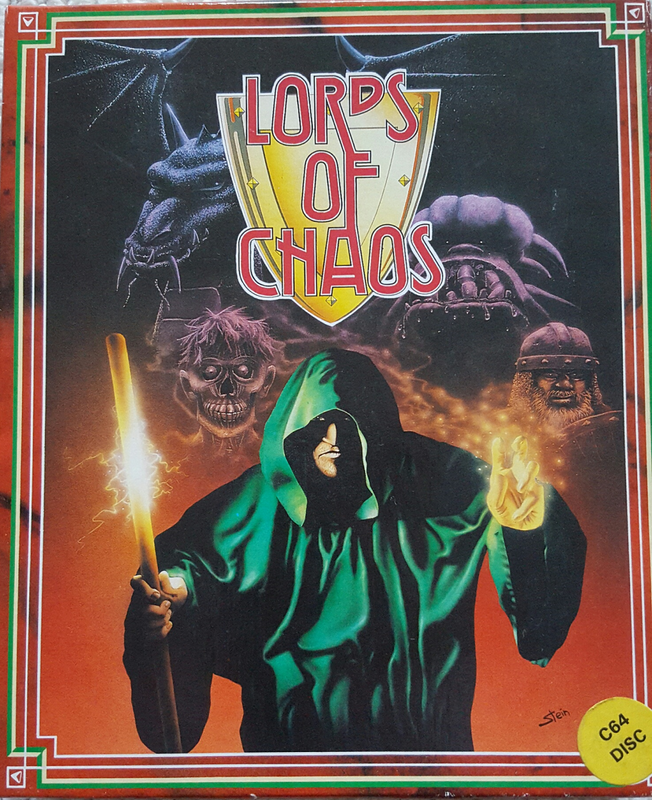 On the evidence of Lords of Chaos – that is a crying shame. With previous, and future, reviews I do have a geek moment where I have to talk about the box and instructions. I love a good box and I’m not afraid to admit it. Lords of Chaos doesn’t let me down – it has one of the smaller cardboard boxes where the pictures and descriptions set the mood of the game brilliantly. My disk version box has the “C64 Disc” label over the Amiga label and (after all these years) I have just realised I have the Atari and Amiga instructions – not the C64 ones. Annoying. If you enjoy blasting people to bits in a fast paced manner then this game isn't for you. If you like your strategy, wizards, turn based games this is definitely for you. You’re a wizard and a mighty fine wizard you are. You can enhance your character as the game progresses by using points that you have accumulated from killing enemies and grabbing treasure. 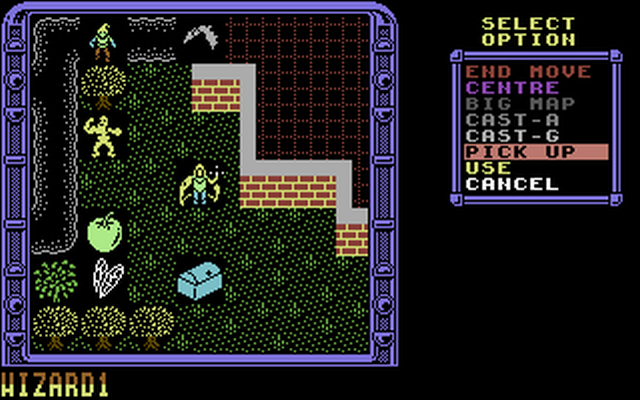 The better the wizard, the more spectacularly you can wipe out the enemy as the game progresses. The start of the game sees you customise your wizard – you have a set amount of points to distribute to enhance yourself. The more you play Lords of Chaos the more you will learn where it is better to distribute these points – I won’t spoil it for you. Spells – every good wizard loves a spell. It’s debatable whether you are actually a “good wizard” but you do have the opportunity to use some of your points to arm yourself with some “hokery pokery” to increase your chances of battering the enemy. 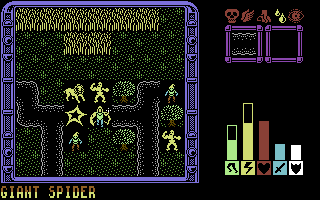 Of course there are spells to attack an enemy head on – but I particularly like the spells of flood and fire that can be cast on the map and can spread across the land. Sit back and marvel at your destructive powers. As you play the game you can bring in other creatures to help you, some are more helpful than others and that knowledge can be quickly learnt over a few games. Summon a creature that can fly and they can see further than a creature on land, naturally this can be used to enhance your ability to see what your enemy is doing. I am sure you can grab the vibe that I love this game and playing against the computer does provide a good challenge and there are a variety of scenarios to choose from that do help with the longevity of play. Naturally, the intelligence of the creatures can vary from game to game and you can make your wizard differently each time to add a new element to the game play. Where Lords of Chaos comes completely into its own is the 2 player mode. Grab a friend, enemy or someone off the street to play this with you – as this game is absorbingly brilliant with another human being. Seeing their wizard become slowly engulfed in flames is disturbingly enjoyable. Creating an undead creature when your opponent doesn’t have one is disturbingly amusing. With 2 player mode this is a game that can be played over and over again, but make sure you play it without knowing what spells the other person has – it’s more fun that way. The fact I haven’t mentioned the sound and graphics until this final paragraph should tell you something about the game play of Lords of Chaos. Graphically I think it looks a treat for this type of game and sound is up to the job without anything spectacular. Play this game and you will be hooked. Did I tell you I liked the box?